The European Union has programs in place that seek heavily to influence mainstream news outlets and journalists with its own agendas — such as that of continued mass-migration into Europe from Africa and the Middle East. For this purpose, the European Commission recently funded the publication of a handbook with guidelines for journalists on how to write about migrants and migration. It is seemingly in the interest of these media representatives to label competition from alternative or new media, “fake news”. A proposed French law would allow authorities to block websites during election seasons, a draconian measure to combat political opponents, which would place France in the same category as countries such as China and Iran that block websites that do not suit the agendas of the regime. 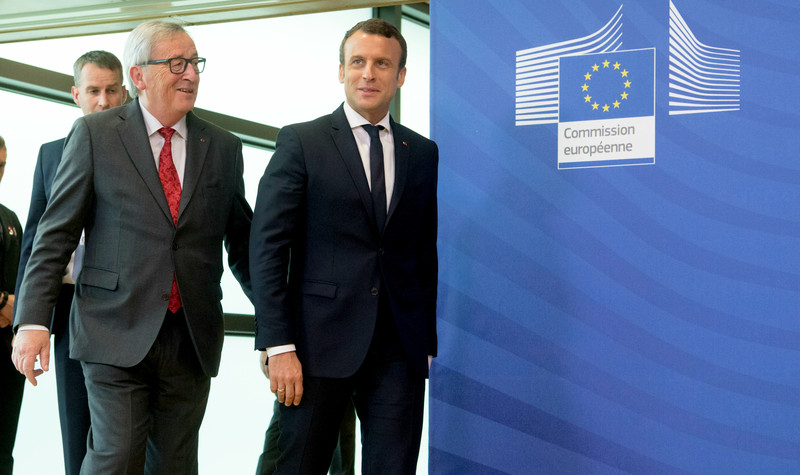 The European Union is intensifying its efforts to censor and marginalize voices that disagree with its policies under the convenient euphemism of combating “fake news”. In October 2017, the European Commission announced its “fake news” policies and how it intends to “design solutions to address the spread of fake news”. According to the Commission, “Fake news consists of intentional disinformation spread via online social platforms, broadcast news media or traditional print”. Furthermore, according to the Commission, the EU’s fake news policy is guided by, among other things, “the freedom of expression, media pluralism, and the right of citizens to diverse and reliable information”. “It comprises representatives of the civil society, social media platforms, news media organisations, journalists and academia…. “The High Level group will advise the Commission on scoping the phenomenon of fake news, defining the roles and responsibilities of relevant stakeholders, grasping the international dimension, taking stock of the positions at stake, and formulating recommendations”. The media representatives have been almost exclusively picked from the mainstream media — giants such as ARD, RTL, Swedish state television, Sky News, AFP and News Media Europe, which renders any sort of balanced outcome that these “experts” might reach a rather illusory option. To the extent that they even view new or alternative media as a threat, it is seemingly in the interest of these media representatives to label competition from alternative or new media, “fake news”. The high-level group held its inaugural meeting on January 15, 2018. The European Commission will poll EU citizens and conduct a Eurobarometer public opinion survey to be launched early 2018 “to measure and analyse the perceptions and concerns of the European citizens around fake news”. The Commission will also be organizing a “multi-stakeholder conference on Fake News” which, will “define the boundaries of the problem, assess the effectiveness of the solutions already put in place by social media platforms and… agree on key principles for further action”.